It’s time for our Neighborhoods Day Spring Picnic! It’s a time when all the different neighborhoods get together and celebrate with good food, friends, and local law enforcement and fireman. This year, we will be back at Triangle Park and we’ve got wonderful things in store. Food, fun, and friends in this perfect springtime weather. 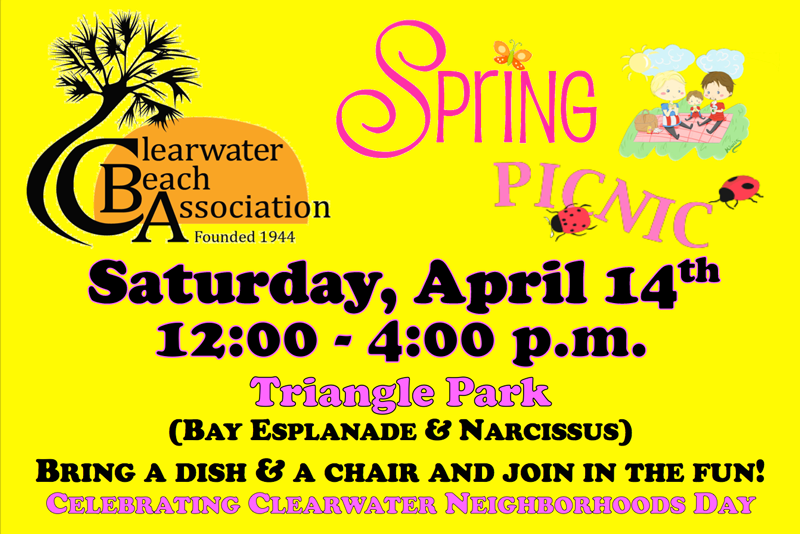 Food and drinks will be provided, but it wouldn’t be a CBA Picnic without everyone’s delicious sides and desserts – bring ’em on! Don’t forget your chair! Mark your calendars everyone and we will see you there!